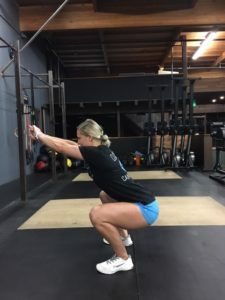 Love or hate them; the squat is one of the most effective exercises for athletes and fitness enthusiasts alike. They are completely versatile. 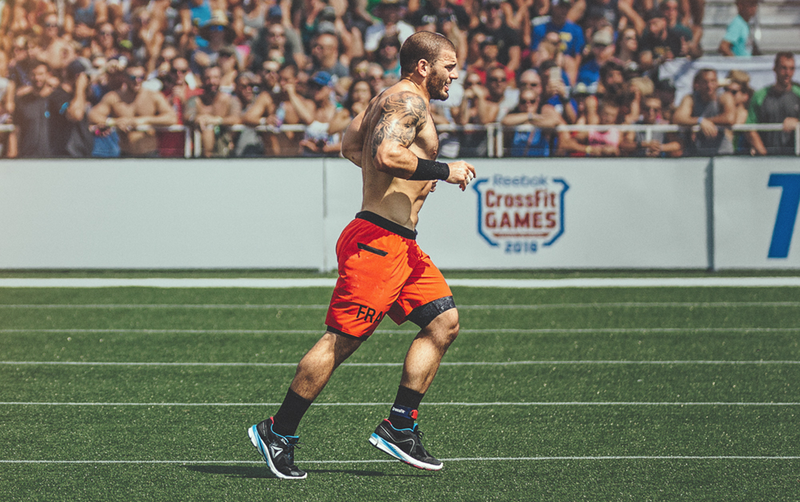 You can do them anywhere, at any time—with or without weights. 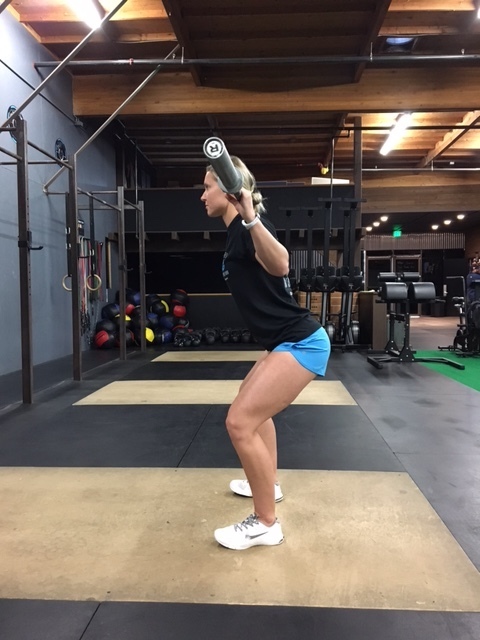 Also, the squat can help tone your legs and glutes, allow you to log a few more miles, increase speed, boost power, and prevent injury. However, to reap all the benefits from this one move, you must perform it with proper form. 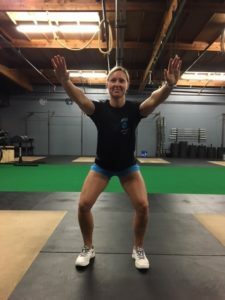 Whether you’re new to the squat or not, it’s best to do this move with no weights to develop the good form. 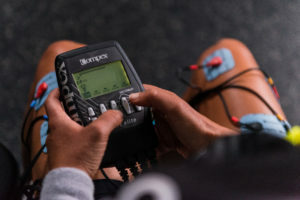 Once you’ve mastered the technique of a perfect squat, then you can switch it up and add Compex or weights to the move. 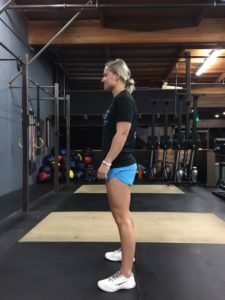 Stand tall with feet a little more than shoulder-width apart. 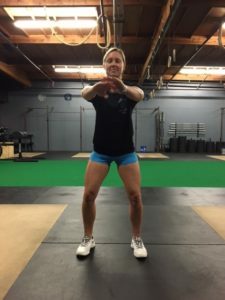 Begin to sit down, pushing the hips back (as you sit into the squat push your knees out to stay in line with your toes). Make sure your weight is on your heels, because if you are too forward or on your toes you can add stress onto the knee joint. Keep your chest up and eyes looking straight ahead as you continue to sit down. Once your hips descend below the knees, pause, the descent part of the move is now complete. Continue to shift your weight into your heels and push your feet into the ground. 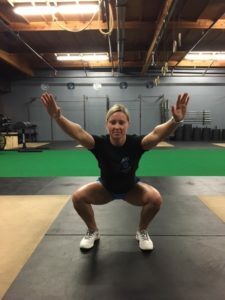 Once you’ve perfected the basic squat, you can progress to a more advanced move. 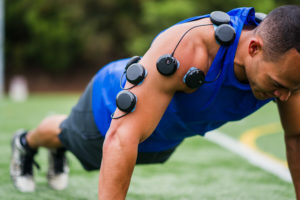 You can use weights, bands, or your Compex to increase the load on the muscles. 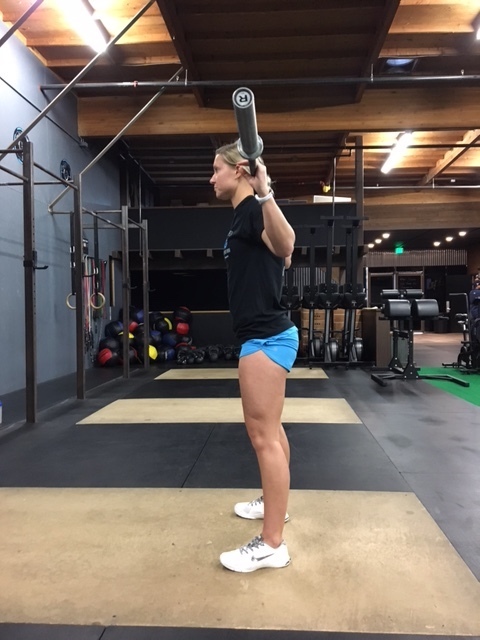 It’s important to maintain your form, especially when you increase resistance, to prevent injury. 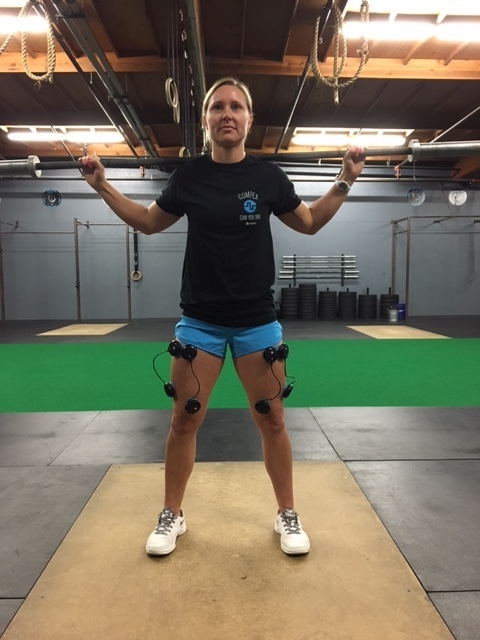 Here are some views that show how to use a regular barbell as well as how to set up your Compex device to complete these squats. 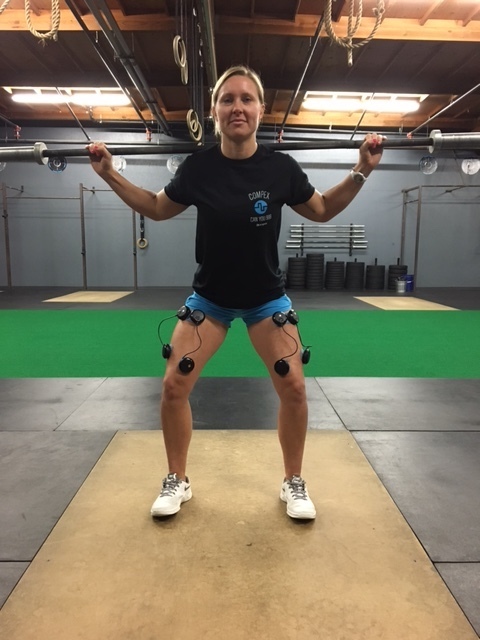 You can use your Compex with body weight, a bar or PVC pipe as you work on proper squat form.